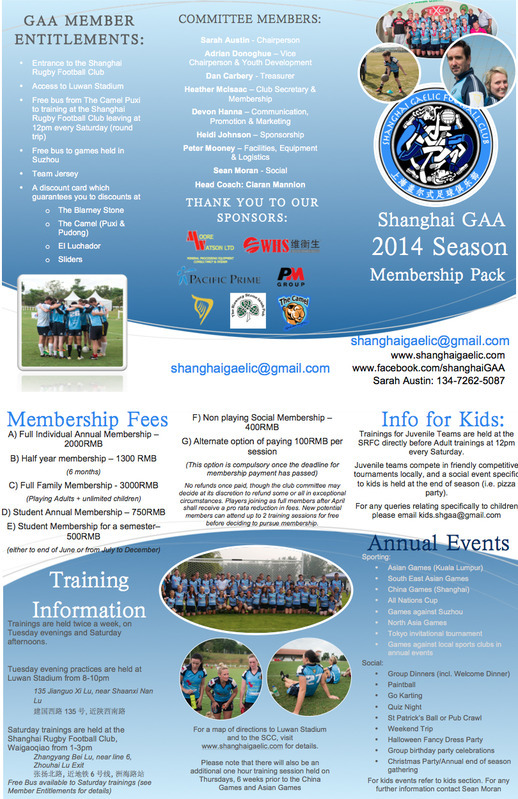 Memberships are essential to the running of the Club. · Sliders and other participating establishments. Membership fees for 2014 have now been finalized. We will be accepting payment from now on at every training session. Deadline for payment is 31st March. · Student 1st Semester (to end June) 500 RMB. · Players have the option to pay 100 RMB per session. before deciding to pursue membership. players must pay RMB100 per session. We ask all members to cooperate with regard to membership fee rules.